" I am so grateful for the Forgiveness Circles Dr. Meg! Thank you for your beautiful hospitality and welcoming me into the group. I feel welcomed and loved and seen by all of you, and that is a rare and beautiful thing. Thank you again, and I look forward to next week".
" I have learned so much by attending these circles, I am now 92 years old and my life is over, but I wish someone had told me some of this information earlier in my life:. Here are a few reviews from Pastors or other National Thought Leaders about our new book, " They Speak from the Pain of Divorce: Lessons for African American Christians". Hope these comments spark your interest and encourages you to purchase a copy. Congratulations on the publication of "They Speak From the Pain of Divorce". I appreciate you sending the review copy and enjoyed looking at it. Your research is important, and I’m hopeful this work will help churches better minister to African-Americans who are experiencing the pain of divorce. For a long time, I’ve had a burden for placing DivorceCare in more African-American churches, and would welcome any ideas you have on how to achieve this goal. Thank you for trusting me with your book. Congratulations on having the vision to give voice to a most important topic affecting the lives and beliefs of many Christians.Thank you. This was a wonderful book ! What a beautiful and much needed ministry you have. This book has helped me with my grieving. Thank you! 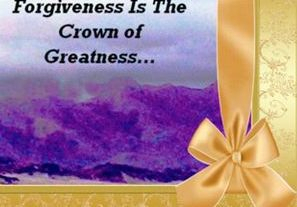 "Forgiveness isn't just practiced by saints or martyrs, nor does it benefit only its recipients. Instead, studies are finding connections between forgiveness and physical, mental, and spiritual health and evidence that it plays a key role in the health of families, communities, and nations. Though this research is still young, it has already produced some exciting findings—and raised some important questions" (Worthington, 2004).